Working for you... It's our privilege! Call us today at 1-866-326-1333 or 218-326-1333. Rapid Garage Door & Awning -- 218-326-1333 or 1-866-326-1333. 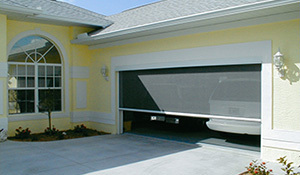 Increase Your Comfort with Retractable Screens from Rapid Garage Door & Awning. Professional Sales, Installation and Service of Motorized or Manual Deck and Patio Awnings by Rapid Garage Door & Awning. Rapid Garage Door & Awning Carries a Full Line of Free-standing or Wall-mounted Sun Shelters & Privacy Screens. We Offer Garage Doors In Many Colors, Material Choices and Window Options. Our Commercial Garage Doors Are Available In Many Colors, Material Choices and Window Options. The professionals at Rapid Garage Door & Awning provide top quality sales, installation, service and repair of garage doors, garage door openers, and retractable awnings and screens for residential and commercial customers in Grand Rapids MN and the surrounding northern Minnesota communities. Rapid Garage Door & Awning sells only top quality residential and commercial garage doors and openers – names you can trust like Clopay, North Central and Lift-Master. We offer a wide variety of colors, material choices and window options to choose from. Whether you need to replace and existing door or are looking for a door for a new construction project, we have the products, skill and competitive pricing you are looking for. 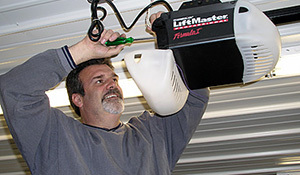 Need garage door repair or service on a garage door opener? Our highly-trained team of repair technicians provide fast, quality work you can depend on. We service and repair all makes and models of garage doors and garage door openers, no matter who installed them. Since 1993, we have been dedicated to customer satisfaction. We listen to your needs, find a solution and stand behind our work to ensure your satisfaction and confidence. Please give us a call the next time you need a garage door, garage door opener or garage door repair. You can reach us Monday thru Friday from 7 a.m. to 5 p.m. and Saturdays by appointment. Call us today: 1-866-326-1333 or 218-326-1333. Garage door repair is NOT a “do it yourself” project for most people. We offer free estimates and usually same day service. We repair and service all makes of garage doors and openers; and offer full and partial garage door replacements. 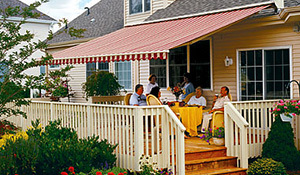 Expand your home’s living space with a retractable awning for your deck, patio, terrace or windows. 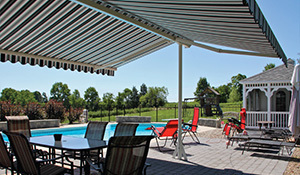 Let our technicians install a custom-made motorized or manually retractable awning that provides cool comfort for your outdoor living. Want to keep bugs out this summer? We offer retractable bug screens for doors, windows, patios, garages, verandas, and sliding doors. Retractable bug screens are there only when you need them, then retract out-of-sight. Both manual and motorized retractable screens are available. Rapid Garage Door sells and installs the full line of Clopay Residential Garage Doors. 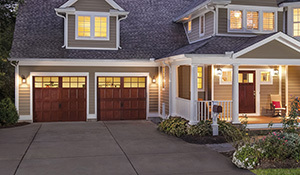 With more than 1,000 garage door designs in wood, steel, composite, aluminum and glass, you’ll find the perfect garage door style to transform your garage, and your home. We also carry garage doors from North Central Door. We sell and install professional grade Garage Door Openers designed to perform and built to last. 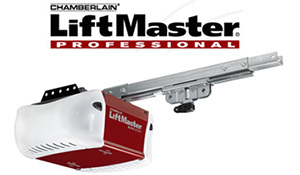 Our LiftMaster openers ensure smooth, trouble-free operation while providing you the safety and control you want in a Garage Door Opener. We sell and install Sunesta Sun Shelters that provide unmatched sun protection for sunrooms, perfolas, skylights, decks, patios, and break areas. Available as freestanding units or attached to existing structures, every shade system is custom made to fit your needs. "We LOVE our garage doors and receive many compliments on the style and how nice they look. Thanks for a beautiful job!" Rapid Garage Door & Awning Co., Inc.
Monday thru Friday: 7 a.m. to 5 p.m. Rapid Garage Door & Awning proudly serves the Minnesota communities of Grand Rapids, Hibbing, Virginia, Nashwauk, Keewatin, Marble, Taconite, Bovey, Coleraine, Cohasset, Effie, Bigfork, Marcell, Talmoon, Squaw Lake, Deer River, Ball Club, Bena, Remer, Hill City, Jacobson, MacGregor and Aitkin. Copyright ©2015-2016 Rapid Garage Door Co., Inc. Grand Rapids, MN. All Rights Reserved.